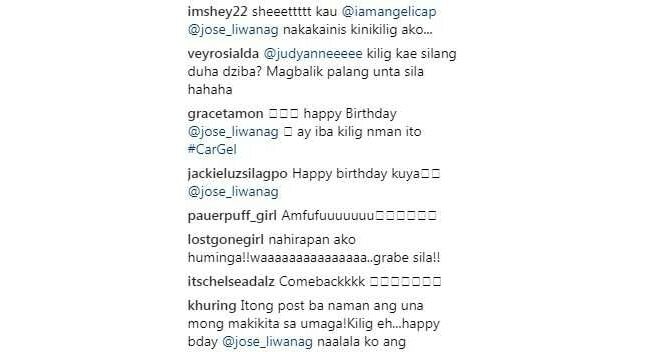 Early this morning, September 3, Angelica Panganiban took to Instagram to greet her ex-boyfriend and Exes Baggage co-star Carlo Aquino a happy birthday. "Sa yo lang hindi nagbago ang salitang pagmamahal. Maligayang kaarawan @jose_liwanag," Angelica said in her photo's caption. The photo, where it appears she and the actor looked like they were about to kiss, had their fans in a frenzy in the comments section. A lot of netizens are hoping for the two to get back together to rekindle the romance they had in their teens. Exes Baggage, their much-awaited reunion on the big screen, will be shown in cinemas on September 26.